Recognising that the greatest lives are shaped by random fun, Carlton Dry, one of Australia’s fastest growing beer brands, has today announced the ‘Carlton Dry 100’, a year-long promotion which puts one hundred once-in-a-lifetime experiences up for grabs. 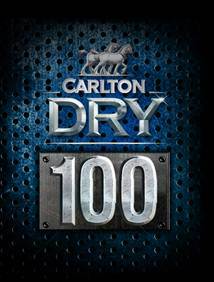 With the ‘Carlton Dry 100’ there is no piking. If you win, you have to drop what you are doing, grab your mates and set off on your adventure within 48 hours. If you fail to act in time and don’t have the guts to go for it then you get nothing. A new winner is selected and the ‘Carlton Dry 100’ challenge is issued to them. From being chased by wild bulls in Spain, to living it up in Las Vegas, the rewards are all about grabbing whatever random opportunity comes your way and going for it. Kicking off on June 30, a range of experiences will be given away every week for the next year. Vincent Ruiu, Carlton group marketing manager said, “The ‘Carlton Dry 100’ gives its fans the chance to live in the now, and know that tomorrow doesn’t matter until tomorrow. With 100 prize draws in play, every few days a new prize draw will kick off, keeping the good times coming all year long. Each prize draw will open with a call to action through multiple media channels including the Carlton Dry Facebook and Twitter accounts, by email and via the brand new ‘Carlton Dry 100’ iPhone app, designed to let Dry drinkers know when the entry window into the latest competition is open. Other prizes worth dropping everything for and living in the now include: A trip for three to a full moon party in Thailand, being VIP with your mates at the opening party of SPACE nightclub in Ibiza, adrenaline-packed snowboarding trips, exhilarating motocross lessons and much, much more. Carlton Dry is a refreshing, easy drinking dry lager brewed to have a smooth crisp finish, with lower carbohydrates. Cocktail mix company Urban Thirst is thrilled to be partnering with Dan Murphy’s and the Good Food and Wine Show for 2011. The company that bought you delicious ready made cocktail mixes is giving away free tickets to Sydney’s Good Food and Wine Show. Until the end of June, anyone who buys two or more Urban Thirst mixes from a participating Dan Murphy’s store will automatically be eligible for a free ticket (value $29.50) to the ultimate food and drinks event taking place from 1 – 3 July. Urban Thirst mixes can be enjoyed anywhere – be it entertaining at home with friends or outside at a picnic or barbecue. Created from premium fruit juices , all you have to do is mix your favourite spirit and serve to turn any gathering into a special occasion. 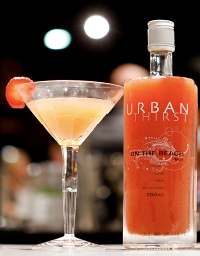 Urban Thirst mixes can be enjoyed in two different, easy to use blends; Classic Cocktails, which are available in various flavours ranging from Margarita to Mojito, Strawberry Daiquiri to French Martini, On the Beach to Cosmopolitan; and the Frozen Cocktail range that miraculously turns into a delicious slush cocktail overnight, and can be enjoyed in Mango or Strawberry Daiquiri, Mojito, Caipiroska, Limoncello and Pina Colada. Both ranges are available at Dan Murphy’s, retailing at $13.99 for the Classic Cocktails and $17.95 for the Frozen Cocktail range. Want to impress at your next dinner party or gathering? Urban Thirst promises to do just that with their bespoke premium bottle, designed to inspire. Everyone enjoys a cocktail when starting his or her evening, so be unique and tasteful at the same time. Where: Dan Murphy’s stores in New South Wales. Sydneysider’s mouths are set to water this week, as Australia’s favourite tap beer, Carlton Draught, brings Australia’s greatest tasting meat to selected pubs around Sydney. Carlton Draught partnered with free range farm, Jac Wagyu, to rear 20 head of cattle on the quality ingredients used to create Australia’s favourite draught beer, Carlton Draught. The result of this program is a modern twist on a classic Australian pub tradition of beer and meat trays. The meat has been produced to celebrate the Carlton Draught Massive Meat Wheel promotion which gives Aussies the chance to go for a spin on the world’s tallest cantilevered observation wheel, the EDF Energy London Eye, competing to win $100,000 and a meat tray. Over 25, 000 of Sydney’s food lovers were out in force last weekend to taste the culinary delights of the city’s best restaurants, chefs and producers. Taste of Sydney chefs, including Manu Feidel, Miguel Maestre, Colin Fassnidge and Matthew Kemp were on hand to deliver a degustation menu like no other, serving thousands of dishes each. Over 80,000 prawns were used by Peter Kuruvita from Flying Fish, 5,300 of Justin North’s famous Charlie & Co Wagyu beef burgers were devoured and Warren Turnbull from Assiette/ District dining cooked over 250kg of chicken. The event kicked off on with over 400 VIP guests to celebrate Opening Night in the HSBC VIP lounge. For four days, Centennial Park housed a spectacle of 14 fully equipped commercial grade kitchens, over 100 exhibitors, abundant dining areas, cocktail bars and live music. Top restaurants on show included Etch & Charlie & Co, Restaurant Balzac, Danks Street Depot & Cotton Duck, Otto Ristorante and Otto Bar, Bilson’s & Number One, Ormeggio at the Spit, L’etoile, Flying Fish Assiette & District Dining, Bird Cow Fish, Berowra Waters & Ad Lib, Aperitif, Four in Hand and Omerta & A Tavola. As well as the opportunity to experience the best of Sydney’s restaurant cuisine, Taste of Sydney also boasted a number of feature areas including the Gourmet Traveller Taste Kitchen with live cooking demonstrations, the Taste Wine with Jaguar Gourmet Traveller Wine Theatre and the Gourmet Traveller Chef’s Table where visitors were given the opportunity to have all their culinary questions answered in one of the many educational Q & A sessions. What: The eagerly anticipated foodie festival, Taste of Sydney – an action packed four day spectacle that will see 14 of the city’s finest restaurants, over 100 producers, cocktail bars, live music and a host of food and wine features. This week, Taste of Sydney’s world famous chefs, producers and wine experts will once again line up to deliver stunning food, delicious demonstrations, entertaining tutorials and enlightening Q&A sessions at the hotly anticipated food festival, Taste of Sydney. Crowns are the currency used at Taste Festivals to purchase dishes and drinks from the restaurants and producers. Crowns may also be used to purchase food and drink from the exhibiting producers at the event. The restaurants only accept Crowns as payment and a limited number of exhibitors accept cash. 1 Crown = $1. Sample size signature dishes from the restaurants will be priced at 8, 10, & 12 Crowns each. Drinks start at 6 Crowns. Crowns can be purchased on site at the event at Crown Banks, Crown Sellers and the Ticket Office. You can buy Crowns in advance with a Premium or VIP ticket Package (each package includes a book of 30 Crowns). Lilydale will team up with Warren Turnbull of District Dining to produce 200kg of the irresistible free range spicy Lilydale chicken with coleslaw and lime aioli. Matt Kemp and his team of chefs at Restaurant Balzac will braise 220kg of Wagyu beef and prepare 45 litres of truffle puree to serve up over 2000 of his infamous Crispy Wagyu Beef with Mushroom and Truffle Puree. One week to go until Taste of Sydney! The countdown is on for the year’s most anticipated foodie event, Taste of Sydney. In just one week, over 20,000 Sydneysiders are expected to awaken their taste buds while the Brazilian Fields at Sydney’s Centennial Parklands is transformed into a foodie heaven. From 10-13 March, 14 of the city’s top restaurants will showcase their signature dishes alongside the city’s top wineries, producers and exhibitors. With a tasting menu of 50 sample sized dishes, guests have the opportunity to create their dream degustation and fall in love with some of the best Sydney has to offer. Italian Piazza – New to Taste of Sydney in 2011, the Italian Piazza invites you to experience the forefront of Sydney’s Italian cuisine. Sample dishes from top Italian eateries such as King Salmon Carpaccio from the infamous Otto Ristorante, Acquarello Risotto from Ormeggio at the Spit, or Steamed Mussels from Omerta & A Tavola. The Piazza is also home to the finest selection of Italian producers including Sanpellegrino, Barilla and more. Bilsons & Number One Wine Bar – Widely renowned as the ‘Godfather’ of Sydney’s culinary scene, Tony Bilson will make his Taste of Sydney debut with the eponymous Bilson’s restaurant and Number One. Trade your crowns for a taste sensation of Apple Tarte Tartin and Calvados Crème Anglais – a dish that is sure to be a hit! Victor Churchill – Australia’s largest meat wholesaler, Victor Churchill, will be returning to Taste of Sydney with an enticing BBQ of the finest cuts of mouth watering meat. Visitors will also have the chance to purchase top quality imported gourmet dry goods, delicious packaged desserts, and choose from a large selection of their renowned premium quality meats. ‘Hav-O’ cocktail – Offered for the first time since premiering on Oprah’s Australian Adventures, Sagatiba introduces ‘Hav-O’ cocktail – the refreshing drink that is sure to become Australia’s next iconic cocktail. Otto Bar – Enjoy the full Otto experience within an elegant bar space, specially created for Taste of Sydney visitors. Take a short break amongst a lively musical backdrop while sipping on the bitter sweet taste of an Aperol Spritzer. Aperitif – Discover the newest restaurant venture from renowned chefs Manu Feildel and Miguel Maestre. See the pair side by side as Miguel brings back his infamous servings of Paella a la Maestre at Aperitif, while celebrity chef Manu tempts the taste buds with a slow cooked shoulder of lamb at L’etoile. Bitton Gourmet – Celebrating their 10th birthday, Bitton Gourmet’s French inspired salad dressings, jams and chutneys will be on offer at Taste of Sydney. Experience their range of renowned preserves, dished up on sumptuous French crepes. Regal King Salmon – From wood roasted to mixed pepper and spice, there is something for everyone at the Regal Salmon stand. Raised in the Marlborough Sounds in some of the world’s purest waters, their award winning salmon is one not to be missed! Australian Gourmet Traveller Chefs Table – Ever wondered about the secrets of the infamous Snow Egg? Join special guest chef Peter Gilmore, plus Mark Best and the Taste of Sydney chefs for an informal chat and a glass of wine at the Australian Gourmet Traveller Chef’s Table. De Dietrich Cooking School – Learn ‘The Art of Pastry Cooking’ from award winning pastry chef, Vincent Gadan, along with his team of experts at Patisse. Visitors will take part in a hands-on cooking class to learn the tradition of baking and more. Merivale’s annual food and wine festival, March Into Merivale, returns from 21 February to 15 April involving over 11 venues including the recently launched modern Asian eatery – Ms. G’s, French bistro – Felix, and Surry Hills hotspot – The Beresford. Headlined by ten of Merivale’s head chefs, the 2011 theme is ‘The art of food’, with a set of campaign images that feature the group’s chefs and Merivale CEO, Justin Hemmes, posing in their favourite food-inspired attire. A mouth-watering array of over 50 special events will also take place across the eight weeks including a Giaconda wine dinner, Biodynamic wine dinner with Nicolas Joly and Julian Castagna, shaken and stirred cocktail class at Lotus, Henschke and Blackmore wagyu beef night and world wine fair with over 100 wines to taste at The ivy Room. The great lunch and dinner deals will return with restaurants est., sushi e, Ash Street Cellar, Mad Cow, Uccello, Sailors Thai ivy, Lotus, Bistrode CBD, The Beresford, Ms. G’s and Felix offering $33 lunch and dinners with a glass of wine or beer. Merivale pubs will also offer their own lunch and dinner deals. It will be even easier for diners and drinkers to sample the March Into Merivale delights in 2011 with the introduction of a festival passport where guests collect stamps from different Merivale establishments each time they eat in order to receive a $100 Merivale voucher. Each completed passport will also be entered into a draw to win dinner for six with Peter Doyle at the winner’s home. Carlton Dry has come to the party again, announcing today the second round of ‘THANK GOD IT’S MONDAY’ industry night events. Monday nights will be rejuvenated as the likes of electro-pop supremos Miami Horror, indie duo Philadelphia Grand Jury, rocksters Bluejuice and club favourites Bag Raiders take to stages across the country. Developed as a reward for the hard working bar staff who regularly sacrifice their weekends to serve the public, these free events will hit Sydney, Melbourne, Brisbane, Adelaide and Perth in January and February. If you work in a bar, club, hotel, venue or restaurant, visit www.facebook.com/TGIM to get you and a mate on the free guestlist, plus be the first to know about Carlton Dry’s forthcoming “Thank God It’s Monday” events. Stay tuned as Carlton Dry will be breathing life back into Monday nights throughout 2011 as more events with the very best entertainment will be announced soon.